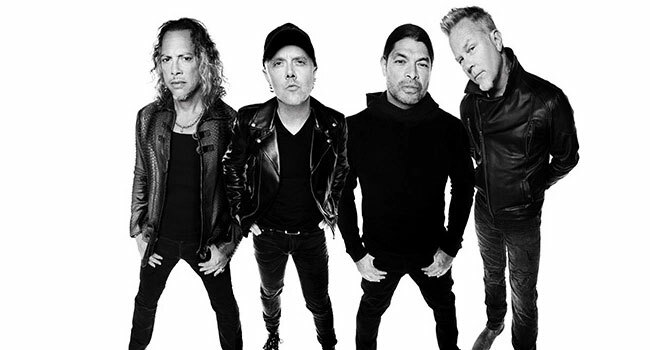 Metallica is returning to Europe on their WorldWired Tour 2019. The group announced they are headlining an outdoor run of shows, primarily in stadiums, that starts next May. The tour will visit 25 cities across 20 countries including many they didn’t visit during their most recent excursion. Lisbon, Milan, Zürich, Dublin, Berlin, Moscow, Warsaw, Bucharest, Göteborg and Brussels (first time since 1988!) are all on the itinerary this summer. The band will also perform in Trondheim Norway, Hämeenlinna Finland and Tartu, Estonia all for the first time. Joining us for the festivities will be Ghost and Bokassa. This tour also marks the appearance of another first in Europe with the Wherever I May Roam Black Ticket, a wildly popular addition to the current North American tour. The Black Ticket is a one-stop shop featuring a single ticket that allows fans Golden Circle access to any Metallica show on the 2019 European tour. Pick the city from A(msterdam) to Z(ürich), make a reservation online no less than 48 hours before the gig and fans are set! A limited number of 750 of these Black Tickets will be available for 598 Euro and can be purchased at CIDEntertainment.com. Each ticket will also include a free MP3 download of the show(s) fans attend, all mixed by the team behind Hardwired…To Self-Destruct. Fans can visit livemetallica.com to obtain the free download. Three enhanced experience options will be available, including premium tickets and amenities ranging from early access to the venue and the “Memory Remains” exhibit of memorabilia to meeting some the band. Legacy Member and Fifth Member pres-sales are underway. Public on sales are September 28th at 10 am local venue time. Per usual, every ticket purchased includes the choice of a standard physical or standard digital copy of the band’s latest album, Hardwired…To Self Destruct. Fans will receive an email with details on how to obtain the free copy. Metallica is currently in the midst of the North American fall/winter run of the WorldWired Tour. Along the way they will be visiting 34 cities that they didn’t visit last year, and a few that they haven’t been to in decades, including Grand Forks, ND after nearly 30 years, Sioux Falls, SD, El Paso, TX, Birmingham, AL after nearly 26 years, and State College, PA after 20 years. Continuing their collaboration with Crowdrise, Metallica encourage fans to make a donation when purchasing tickets to the upcoming shows. Each time a donation is given, that fan be entered to win tickets, pre-show party passes, meet and greet passes, and one lucky winner will be flown to the last show on the tour.